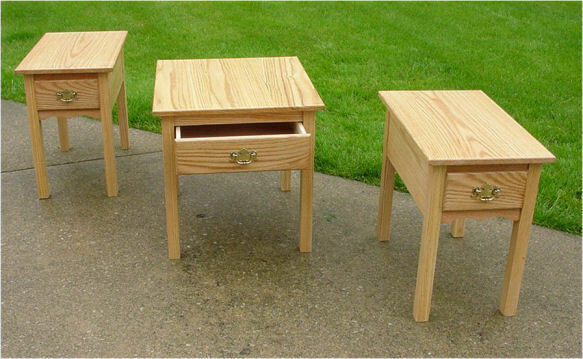 These beautiful Oak End Tables are hand made of nothing but solid natural oak boards screwed together to last for many generations. These are stained with Minwax Golden Oak and then coated with Minwax Poly for a beautiful finish. We can make them any size or shape to fill your needs. They look great with a shelf below the drawers.